Vacation in a holiday home with 150 m²! 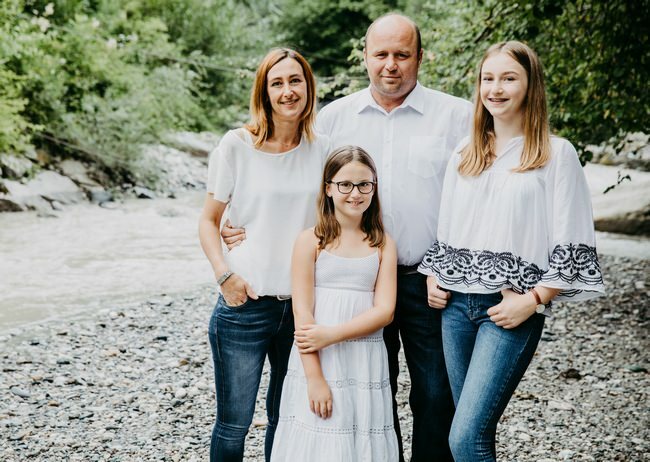 We, the Gerhard and Alexandra Lindorfer family, are pleased to welcome you on our website. Our holiday home is divided into two independent apartments. One apartment with space for 2-4 persons (approx. 50 m²) and one for 4-9 persons (approx. 100 m²). Both apartments can be rented as one unit (13 persons without additional beds, large kitchen with 18 seats). Furthermore, our guests have a 70 m² terrace and a safe playground at their disposal. It is also possible for larger groups to spend their holidays with us, as our direct neighbours also rent apartments and rooms. On our 70 m² guest terrace with garden grill you can sunbathe and enjoy the fantastic view and sunrises and sunsets. 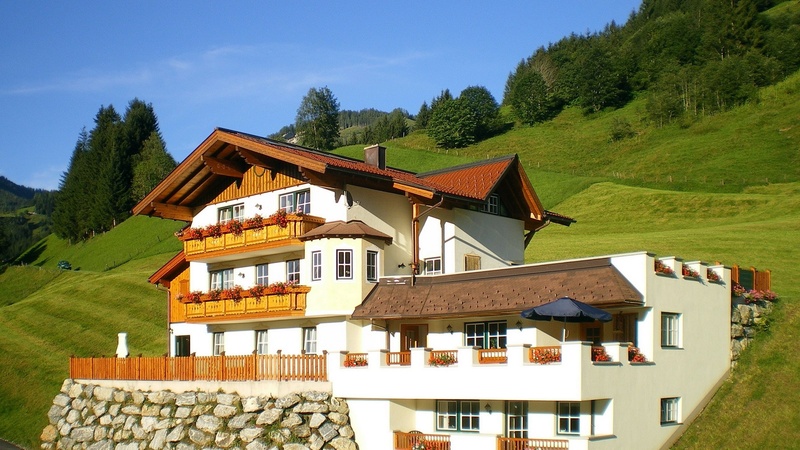 Our house is also a good starting point for ski tours, toboggan runs, mountain biking and for hiking the alpine pastures and mountain peaks of the Großarl Valley. We are a “healthy mountain member enterprise” (www.Berg-Gesund.at), which means for you: free participation in guided activities in the nature around Großarl such as: guided ski tours, climbing, yoga, guided hikes etc.. Experience an active holiday of a special kind – summer and winter alike. We look forward to hearing from you | Contact …. Holidays with friends in the Großarl holiday apartment! 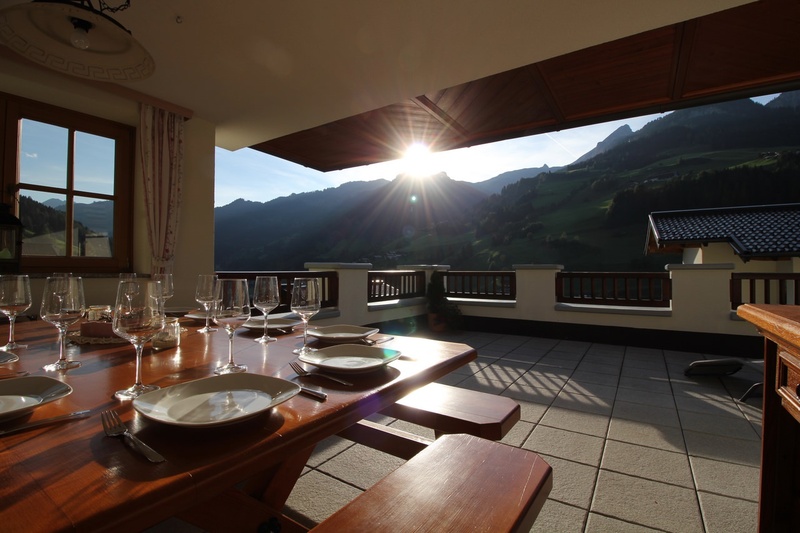 If you would like to spend your holidays with good friends or a large family and escape the anonymity of a hotel, our holiday apartment in Großarl for 4-9 people and around 100 sqm is the ideal accommodation. The central communication room is the spacious kitchen with stove, hot air oven, microwave, refrigerator with freezer compartment, coffee machine, dishwasher, toaster, crockery, cutlery, pots and pans. For the common free time outside there is a large terrace (70qm) with a comfortable garden set, road safe playground and a grill available in the Großarl apartment. Some of the terrace is covered and sheltered from the wind. Cooking together and enjoying together is therefore possible at any time. For the night’s rest, the guests of the Großarl holiday apartment retreat into four double rooms, three of which are equipped with an additional bed. The apartment Großarl has one bathroom and two toilets for up to 6 persons, two bathrooms and three toilets for 7 persons and more. Each bedroom has a flat-screen TV (UHD Smart TV). 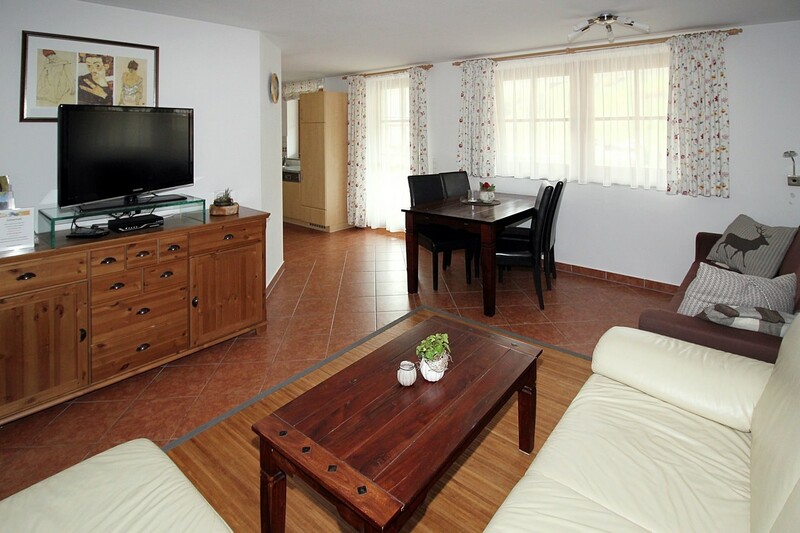 In addition, WLAN is available free of charge in the entire Großarl holiday apartment. For an all-round pleasant holiday! So that you can really enjoy your vacation with us, we will gladly bring you fresh pastries to the door in the morning- Simply register the service on arrival. You can park one car per apartment in our garage – additional parking spaces are available. A washing machine is also available for a small fee. Holidays with the whole family in the Großarl apartment! The well-equipped kitchen with stove, hot air oven, microwave, refrigerator with freezer compartment, coffee machine, dishwasher, toaster, crockery, cutlery, pots and pans invites you to cook and enjoy together. A separate bedroom and a high-quality sofa with a width of 180 cm in the living room give you a restful sleep. If you don’t want to sleep right away, you can enjoy the view from the covered balcony of the apartment. Feel good during your holiday! Whoever appreciates a good breakfast and fresh pastries on holiday will be pleased about our bread roll service. Just let us know when you arrive and we will deliver fresh pastries to your door every morning. The apartment Großarl also has a free garage. A washing machine is also available during your holiday for a small fee.